The 186MS is sure to get your pulse racing. 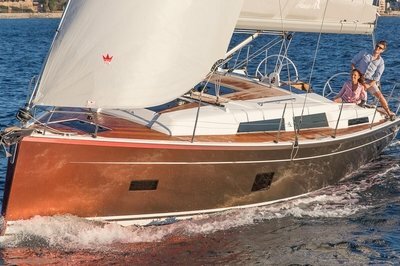 Excitement and adventure are just a few ways to describe the voyages you’ll soon be taking with your new 186MS. The 186MS is loaded with amenities, such as spacious seating throughout the boat, ample storage for all your water toys, stainless steel ski tow, swim platform, and swim ladder for ease of access to and from the water. 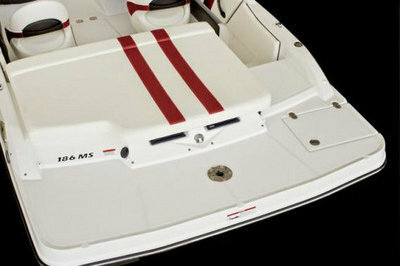 With the features and amenities of the 186MS, your outings on the water are sure to be enjoyable! Continue reading for more information on the Monterey 186MS. Our Montura Series is loaded with abundent standard features such as a sundeck, stainless steel ski tow, telescoping & recessed swim ladder, swim platform, 25 qt. carry on cooler, MP3 adapter, and Jensen AM/FM/USB stereo with Bluetooth & iPod interface & speakers. 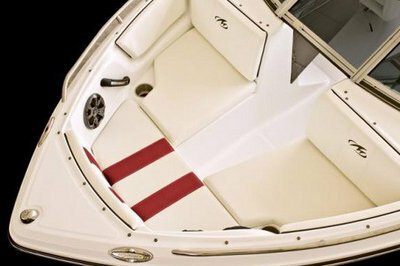 Add in the optional wakeboard tower and you have everything you need to enjoy your days out on the water! Getting you where you need to be..
A trailer package comes standard with our Montura MS Series. It includes: adjustable winch stand, 13" or 15" bias tires, 4 bunk system, 1200 lb. tongue jack, disc brakes, fully grounded lighting system, LED lights , spring axle with sure lube hubs and swing tongue. Or go for the optional trailer package upgrade to our aluminum or galvanized Trailer Packages! 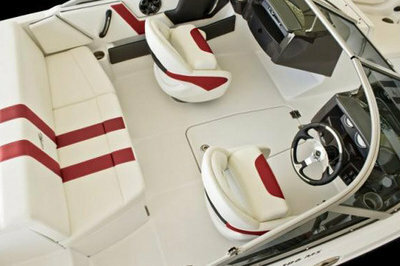 Keeping our captains in mind, we’ve designed our Montura series especially for you. Standard features include instrumentation with fog resistant gauges and low glare night lighting, power assisted and tilt steering and lighted weatherproof switches. Monterey also offer an optional convenience package which includes compass, depthsounder with shallow water alarm & transom tilt switch.